Gain access to all (10) of our themes for a low price of $75.00 for lifetime access. A one time fee of $50.00 for lifetime access. 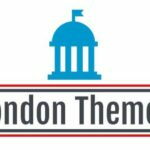 © 2019 LondonThemes. All Rights Reserved.